CHOOOO CHOOO!!! ALLL ABOARD! 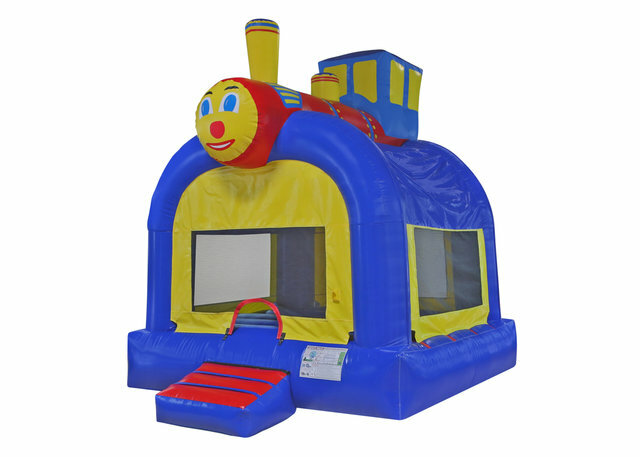 Step on up to ride the fun train! Perfect for boys and girls of all ages. Grab your conductor friends and direct the train with your friends to travel anywhere your mind can take you. This Trian Inflatable has a solid roof to keep cool during the summer and has breathable sides for propper airflow. Grab your friends and lets take a ride on the fun Train!